“Ethiopia is ranked 10th in livestock farming worldwide and as such has a tremendous potential in the leather industry. 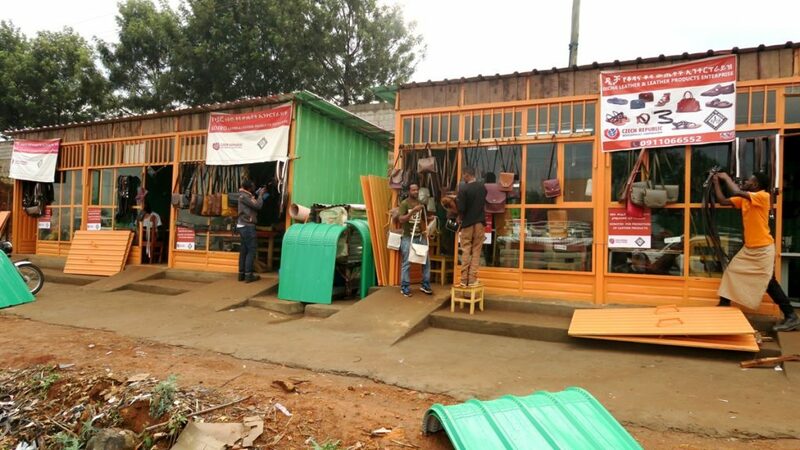 Unfortunately, the development of this sector has been hindered by lack of expertise within technical as well as vocational education and inadequate machine equipment,” Jan Blinka, responsible for projects in Africa, explains why the Czech Development Agency supports such a specific area of the Ethiopian education system. 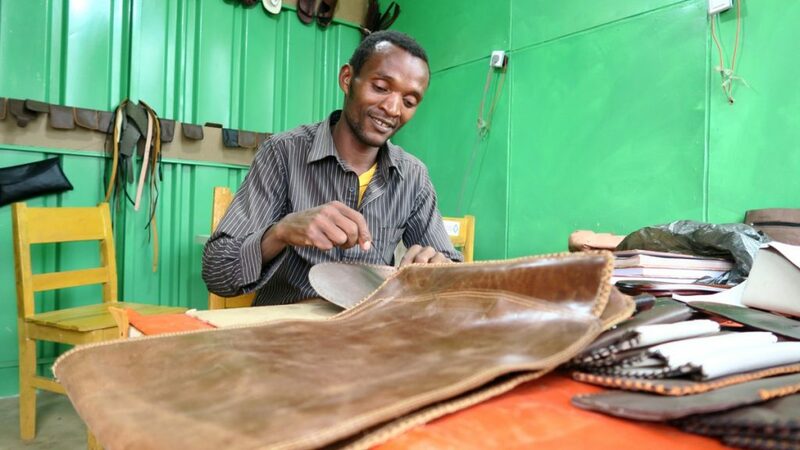 The project titled Increased employment of young women and men in the leather sector focuses on improving the quality of vocational training and subsequent support provided to graduates in developing their own business in the Southern Nations, Nationalities and Peoples’ Region of Ethiopia. In the towns of Dilla and Soddo, two vocational schools were selected in which the People in Need organization implements short and long-term courses focused on leather production, funded by the Czech Development Agency. 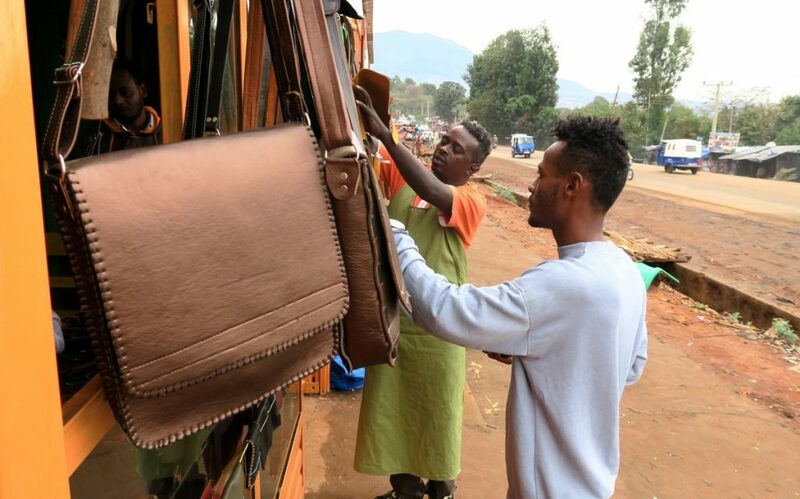 Gradually, the project is supporting more than 200 unemployed young people who in courses learn how to process leather and make shoes, handbags or belts. Into these courses, a minimum of 28% women and 5% of people with disabilities are enrolled. “Before the course I was unemployed, so I only took care of the household, cooked and fetched water. The knowledge and skills acquired during the course gave me the necessary self-confidence and in the future I’d like to have my own business. I am already self-supporting but my income is not large enough to support my entire family. 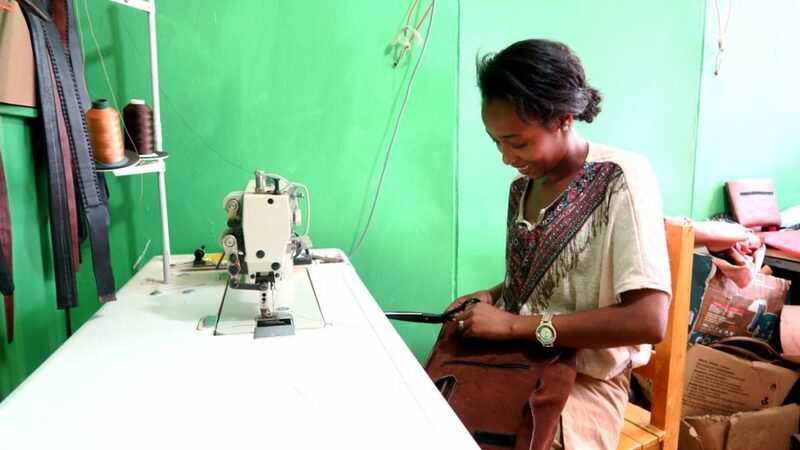 They are of course very happy I was able to get a job,” says 21-year old Aregash Tesfaye, one of the successful graduates of a one-month course. In the workshop where she works with another four graduates, they serve around 15 customers a day; about one third of them may buy some of the products sold. Women mostly buy handbags and men belts. After the first leather shops opened in the town, the interest in the offered courses has been continuously rising. The school offers three different course levels, in which also working graduates can further develop their craft skills. In addition to learning professional knowledge, graduates highly praise the practical part of the lessons where they can learn more about the possibilities of their own business. 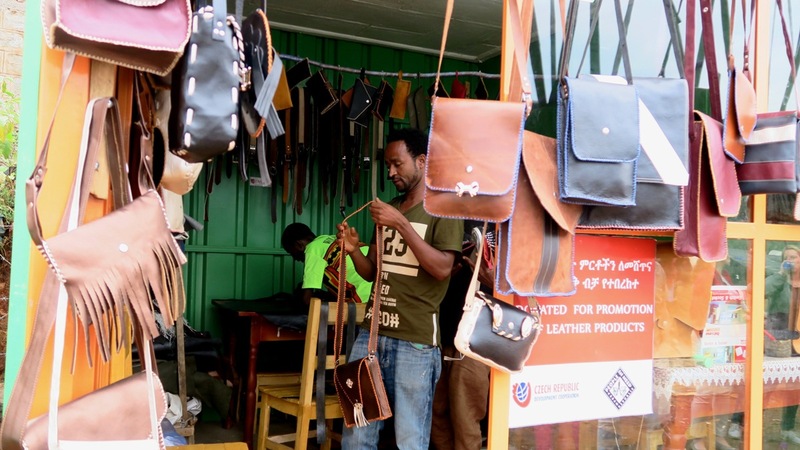 Two of the previous projects running between 2011 and 2015, which focused on the development of the leather industry in Awassa, the administrative city of the Southern Nations Region, inspired these activities. The main target group of all three projects were young people whose unemployment rate is considerably higher than other population age groups worldwide. In many developing countries, including Ethiopia, as many as half of young people are unemployed. They often lack sufficient professional skills and it is almost impossible for them to start their own, albeit very modest business. Next year, the “Increased employment of young women and men in the leather sector” project will finish after four years. The first graduates have been able to find jobs in their own or shared workshops and they will gradually seek to expand their businesses even to an export level. For the third level of courses, the last machines will be delivered. Teachers will be trained to work with them and future graduates, for whom the support of a business incubator will be prepared, will also be able to use them. “It’s great that all of us, including starting craftsmen, help each other. We lend materials to each other or show each other designs. We were given premises from the townhall where we could set up our workshop,” says Abraham who has passed a month-long course and obtained a certificate. He now works in the industry and plans to enrol in the next level of advanced training. The conversation is, however, interrupted by the arrival of some more customers whom Abraham rushes to show his latest products. The projects of the Czech Development Agency in Ethiopia can be found here.